The final and, numerically, most important version of the Avai B.534 was the IV. série - serial no.s 174 to 445. The new version introduced a number of changes, the most obvious being an enclosed cockpit and a metal propeller. The canopy could be fixed in three positions - open, half-closed or fully closed. Combined with the new propeller, the 'IV's improved aerodynamics raised the Avia's top speed to over 200 mph, placing it well on a par with the fastest biplane fighters of the period. But the day of the monoplane was dawning and the Avia B.534 was clearly obsolescent. Nevertheless, the type saw action from the beginning through to almost the end of WW2. Slovakian aircraft fought alongside the Luftwaffe in the Invasion of Poland and again on the Eastern Front in 1941 and, while it was relegated to second-line duties by the mid-years of the war, the little Avia took centre-stage one more time when Slovakia rose up against the Nazis in the autumn of 1944. As part of a makeshift collection of aircraft - the Combined Flight - an Avia B.534 claimed the distinction of scoring the last ever victory by a biplane (to date...), downing a Hungarian Ju 52/3m. Since construction is largely almost identical to the III. série (click HERE for a full Review), I'll concentrate here on the differences. The most obvious change is the fuselage, which is supplied on a new sprue. I was mildly critical of the design of the III. série on account of the long, rather tricky, joint between the fuselage halves and the cowling / cockpit area top-decking. I assumed the IV. série would be the same, but I'm delighted to say that the parts breakdown is completely different; this time the whole fuselage is split into convention halves - including the cockpit area - with just the front cowl-top separate. This instantly makes for a much easier assembly and minimises the chances of unsightly gaps to fill. The new canopy is thin and crystal clear. It's supplied in two forms - fully closed, or split into three sections to display open. Both versions include the rear "razorback" windows moulded as one complete section, so there should be no problem getting a clean fit - and, this being an Eduard kit, painting masks are included, making it a cinch to tackle the curved quarter-lights. The IV. série's propeller is neatly moulded with a two-part spinner, while the final change is the switch over to a tail-wheel for three of the four colour schemes catered for. The kit contains a set of colourful decals, which are thin and glossy and printed in perfect register in the review kit. Based on experience with the III. série, they should respond well to Micro Sol and Set - snuggling down tightly over the moulded details. A. - B.534 s/n 208 - 36th Fighter Flight, Air Regiment No. 2, Olomouc, Czechoslovakia, 1937. B. - B.534 s/n 186 - 34th Fighter Flight, Air Regiment No. 4, Hradec Kralove, Czechoslovakia, 1937. C. - B.534 s/n 239 - 45th Fighter Flight, Air Regiment No. 3, Piestany, Czechoslovakia, 1937. D. - B.534 s/n 217 - Combined Flight, Slovak National Uprising, 1944. 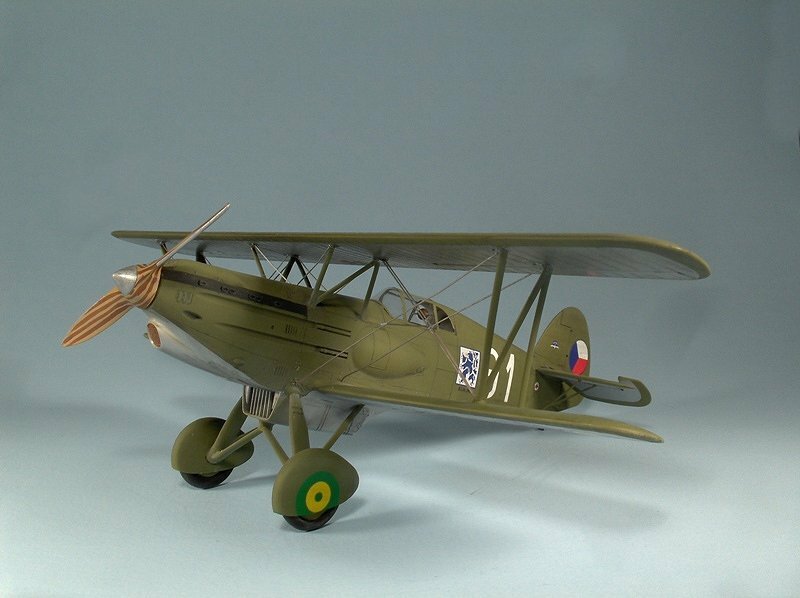 Eduard's two Avia B.534 kits are beautiful models - it's a subject dear to the designers hearts and it's doubtful there'll ever be better quarter-scale kits of this attractive little fighter. Thanks to its simpler fuselage construction, the IV. 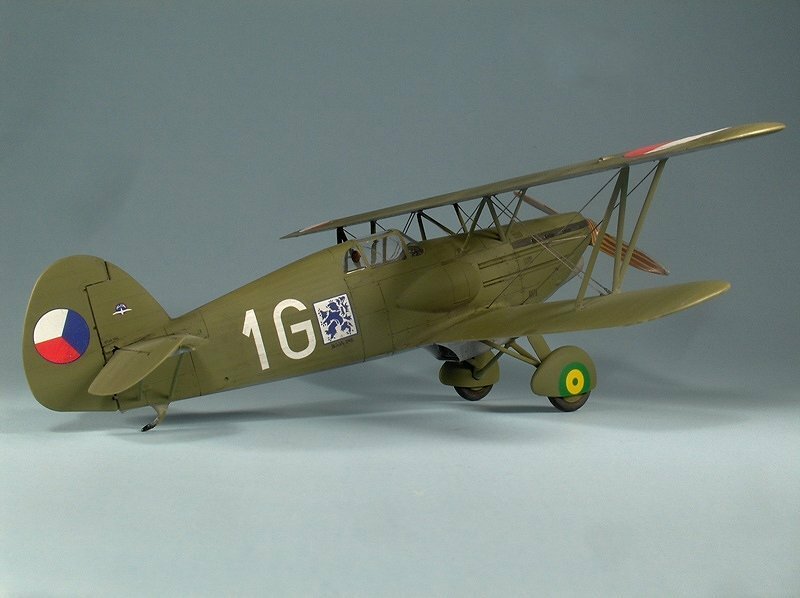 série is the easier of two to build but, as a biplane, it's still not a model for total beginners. 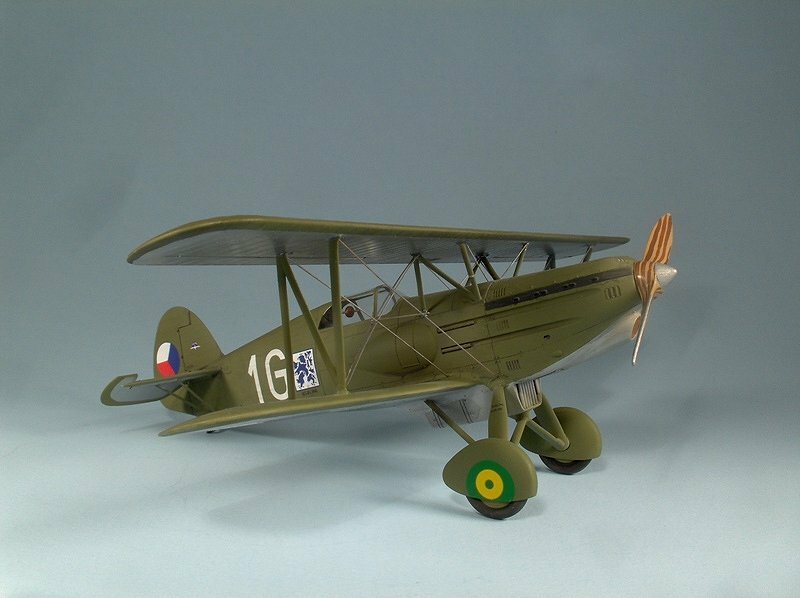 However, modellers with a few biplanes under their belt should have few problems and the inclusion of optional etched or moulded details allows you to tailor the build to suit your level of experience. Highly recommended for enthusiasts of biplanes and less well-known WW2 aircraft. Highs: Great detail and more conventional construction than its earlier stablemate. Excellent decals for 4 colour schemes. Lows: Rather complex construction for beginners, particularly if using the etched details. 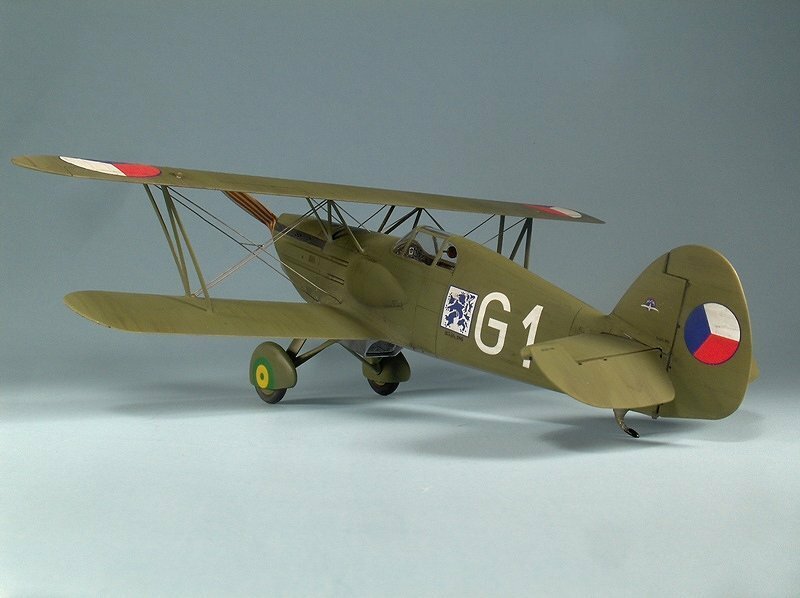 Verdict: A superb kit for experienced modellers looking for an unusual WW2 aircraft. Here is what one fellow has done with this kit. Jean-Luc, no, all is OK, my father have some crash without injured. I have many photos but mainly pilots. I don't have all documents because flight book is somewhere in France from 1939 year. Miloslav Here is next photo from next crash.